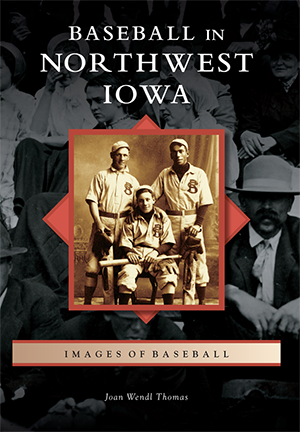 While new railroad tracks cut through Northwestern Iowa in the mid-19th century, hardy pioneers cultivated the fertile soil, and the burgeoning sport of baseball took root and flourished. An integral element of the developing culture, it promoted community pride. Eight Northwestern Iowa towns supported professional teams by 1912, the first being Sioux City in 1888. Over time, that city's clubs produced hall-of-fame shortstop Dave Bancroft and initiated the still-existing American League. Homegrown talent from an abundance of professional, semiprofessional, and amateur clubs throughout the area's 19 counties yielded 38 major-league players before 1960 and more since. Freelance writer Joan Wendl Thomas developed a passion for baseball history while living in St. Louis for decades. There, she wrote two books on that city's lengthy history of the sport. Recently returning to live in her former Northwestern Iowa home, she became captivated with the depth of its baseball past. This book reveals her remarkable findings.